Want to lead in an exceptional way? 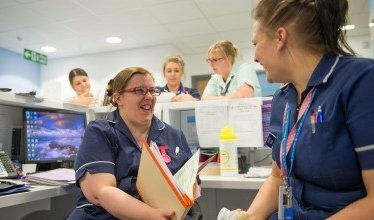 We are building a new future for the provision of acute medical care for the half-million people of Shropshire, Telford & Wrekin and mid-Wales. We are looking for two inspirational leaders to join us on our journey of transformational change. As core members of the Care Group senior management team you will provide strategic leadership and demonstrate the Trust’s values in everything you do. We are proud to be one of only five Trusts in the UK working with the prestigious Virginia Mason Institute giving you the opportunity to work alongside representatives from VMI within the hospitals. Isn’t it time you made a change?